By Dylan Langlois in Blogging. Updated on November 13, 2017 . As website or app owners, we all most likely want clear and precise statistics on who visits our website, where they are from, how long they stayed, what they clicked and more. And we want this without the app selling your data to third parties and invading you and your visitors online space as Google Analytics and other services do. Ladies and gentlemen, may I introduce to you: Piwik. In this article I will be showing you the features and all the cool tools this self-hosted, decentralized, open source Web analytics platform has to offer. To get started using Piwik, start by installing the latest version on the project website here. Almost any server will work with Piwik since it is open source, and it is always being updated to work on the latest hardware and software versions. Having that said, you can install Piwik on as many servers as needed, free of charge. To be sure your server meets the requirements of Piwik, check here. After uploading the necessary files to your server, all that is needed to finish your installation is to visit your Piwik directory in a web browser and complete the easy step-by-step install. When you first use Piwik you may notice that it looks extremely similar to other popular analytic applications such as Google Analytics. The dashboard is a hub for all your stats of the most importance. You can also add, replace or move widgets, giving you fast access to stats and widgets you need most. When digging into the app even deeper you will find that Piwik has so many advanced and useful statistics available for you. 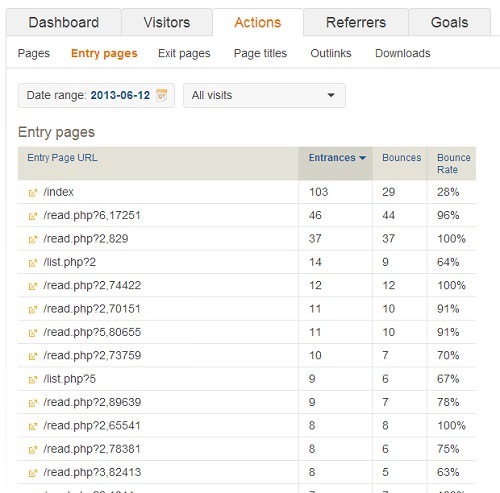 It gives pretty well detailed statistics regarding your most recent visitors and organized information about them you may want to know as a website operator. Even though Piwik’s main design and stats are very minimalistic, it is easy enough for even the newest beginners to read and interpret. Also, when you use Piwik your data is not being sent off to third parties unlike other popular services. Requires a server to be set up on. Not always convenient for some people. With a self-hosted app, you get new features after you manually update it. You’re also prone to forget about checking to see if they have updated it. 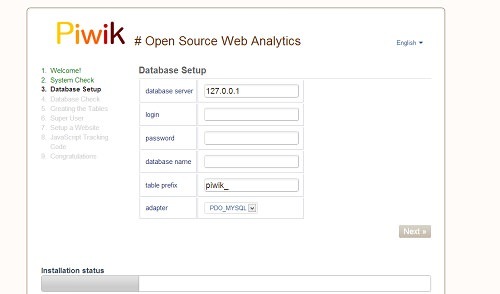 Piwik has a lot of neat and useful features and is on my recommendation list for any website or analytic needs, and being open source makes an even bigger recommendation as I am a big fan of active open source projects.